The following is a press release from the Washington Department of Fish and Wildlife (WDFW). 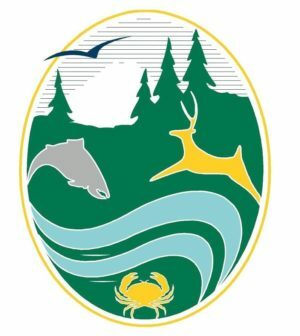 Washington sport anglers soon will have two new options for fishing licenses after action taken by the Washington Fish and Wildlife Commission at its August meeting. The commission, a citizen panel appointed by the governor to set policy for the Washington Department of Fish and Wildlife (WDFW), voted to establish an all-inclusive, annual fishing license at its meeting in Olympia. The Fish Washington license will allow anglers to fish in both freshwater and saltwater and to harvest shellfish and seaweed, and includes endorsements for fishing with two poles and harvesting Puget Sound Dungeness crab and Columbia River salmon and steelhead. The commission also approved a new combination fishing license for Washington residents 70 years and older. The license will allow senior anglers to fish in freshwater and saltwater and to harvest shellfish and seaweed. The new licenses will be available for purchase this fall. The Fish Washington license will cost $79.62, including taxes and fees, while the senior combination license will be priced at $19.05. In other business, commissioners voted to keep the Columbian white-tailed deer and the Taylor’s checkerspot butterfly listed as endangered species in Washington, as recommended by WDFW staff. Draft status reviews for both species can be found online. The state’s population of Columbian white-tailed deer occupies the northern shores and islands of the lower Columbia River in Washington. The population has fluctuated from a low of 545 in 2002 to 966 in 2015. Despite activities to protect and restore habitat, much of the upland prairie that Columbian white-tailed deer prefer has been lost. Taylor’s checkerspot butterflies were historically found in 45 Washington locations. Only eight populations can be found in the state today. Factors affecting these butterflies in Washington include the decline of grasslands, the invasion of non-native plant species and increased human development on the butterflies’ habitat. Also at the August meeting, WDFW staff gave briefings to commissioners on the management of Pacific halibut, Willapa Bay area hatchery programs, and proposals to change the daily catch limit on Lake Roosevelt trout.